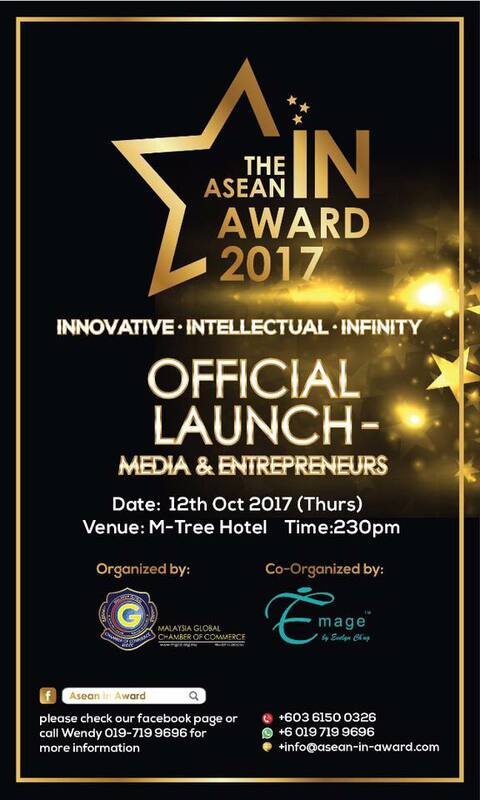 The Malaysia Global Chamber of Commerce will be organizing the 1st ASEAN IN Award 2017 in December and in the co-operation of Ministry of International Trade and Industry, Ministry of Communications and Multimedia Malaysia and Intellectual Property Corporation of Malaysia. The soft launch happen on 12th October 2017 at MTree Hotel, Puchong. A welcome note from Dato' Sri Dr. Alex Ong, President of Malaysia Global Chamber of Commerce emphasized on the objectives to enhance the Small-Medium Enterprise (SME) and Startups branding and credibility. Nomination for ASEAN In AWARDS 2017 is on going and the winners will receive mentorship to expand businesses to other ASEAN countries. There are three categories in the Award competition namely Top IN Personality Award, Top IN Entrepreneur Award, Top IN Corporate Award. The organizer is expecting approximately 50 brands to participate in this Award. The event continued by Evelyn Ch’ng, the co-organizer Emage speech on the vision and mission and its foundation for The ASEAN IN Award 2017. The co-founder also highlighted that the future to award less fortunate with disability entrepreneurs and it is part of the organizer contribution to the society. This not only to reward the hard work of disability entrepreneurs but also and appreciate to willingness to chase for their own dream in business world. Further, the Award illustrated on the implications of this opportunity when it opens the market to more than 626 million people and the younger generation that need to be aware of the importance of bridging and networking in ASEAN. The sharing session continue with Professor Dr. Gan from Genesis Academy had shared the importance of continuous learning as an entrepreneur and Dr. Janson Ang, The Givingbank.com & Janson Group talked about the three key pillars of Innovative, Intellectual, and Infinity. 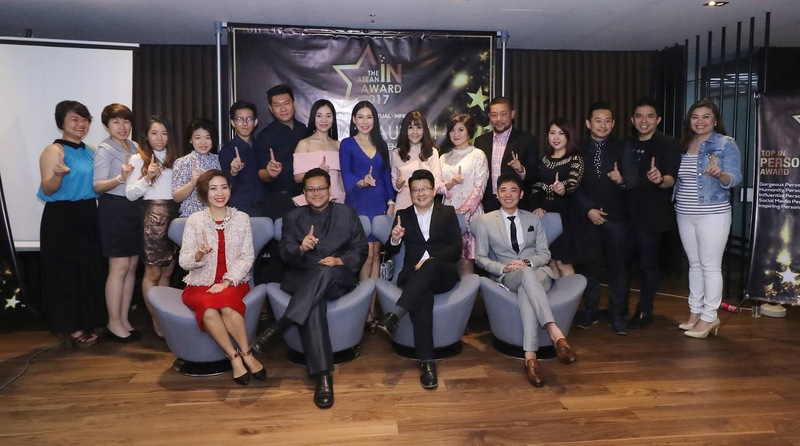 This Award is set to be the platform for thought leadership and experience on the trends and business opportunities for start-ups and upcoming Entrepreneurs by established entrepreneurs who have managed to break the boundaries in ASEAN. The ambassadors and partners who will be supporting and mentoring these award winners are Dr Ng (Association of International certified aesthetician), Dr. Janson Ang (The Givingbank.com & Janson Group), Mr. Soo Hoo (Malaysia Association of Professional Trainers and Coaches (MAPTAC), Ms. Isabelle Liow (Mrs Malaysia Globe), Ms. Yudi Yap (Musician and Cultural Entreprenuer), Celest Yeo (Syn Consulting), Alicia Bon (LeBon, Jason Chan,Strategic Alliance Event S/B), Ben Tan (Mad Agency), Edward (Get Discovered Media PLT), Joecess Lim (Celmonze Aesthetic Academy).